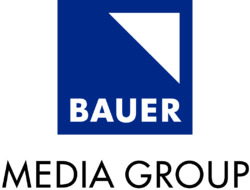 Bauer Media Group is a European-based media company. Bauer Media distribute and own 600 magazines, more than 400 digital products and 50 radio and TV stations around the world. The portfolio includes print shops, postal, distribution and marketing services. At the moment they are Britain’s biggest magazine publisher. They publish many well known magazines such as Q, Ker rang and Mojo. I think this would be a suitable institution as they have already published pop themed magazines and have clearly been successful which is evident due to their 2.4 billion turnover. Prometheus Global Media is another successful media company that have published and distributed a number of popular pop music magazines. Prometheus GM own Billboard magazine which is a good example of a pop themed magazine. Many of their products can be found in consumer bookshops and magazine stands. This would be a good publisher to use, as their name suggests, it is a worldwide company and their products will reach audiences across the globe.